Using a cupcake pan with 24 wells you can make yourself an advent calendar. Make 24 circles out of card stock paper and make smaller circles with 1 – 24 on them. 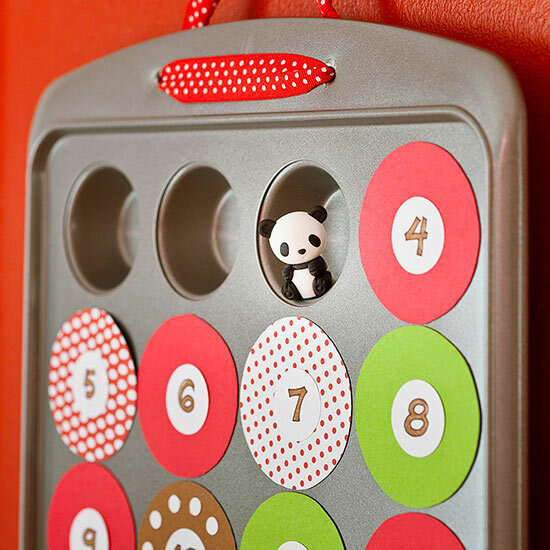 Place a piece of candy (or two or three to make sure each child has a piece) or little keepsakes in each well and attach the circles which would be edged with roll on glue around the edges. This entry was posted in Crafts ~ DIY ~ Projects, ~Christmas and tagged advent, calendar, candy, countdown, keepsake, x-mas, xmas. Bookmark the permalink.